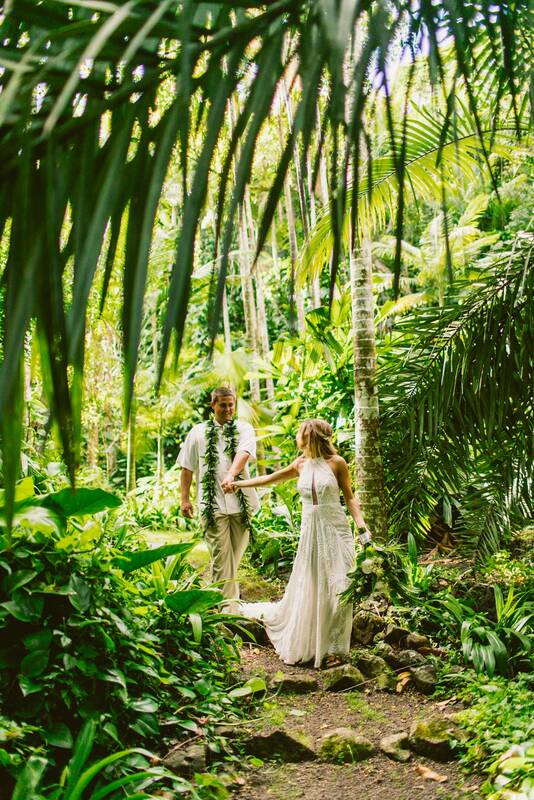 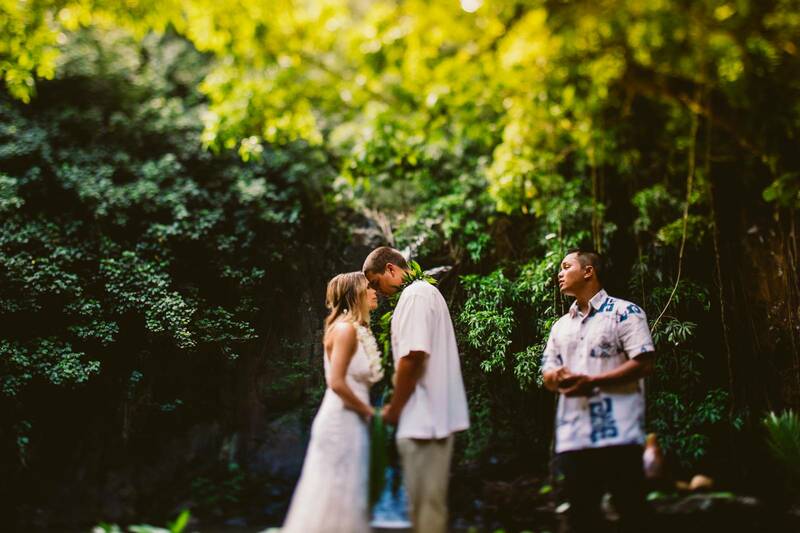 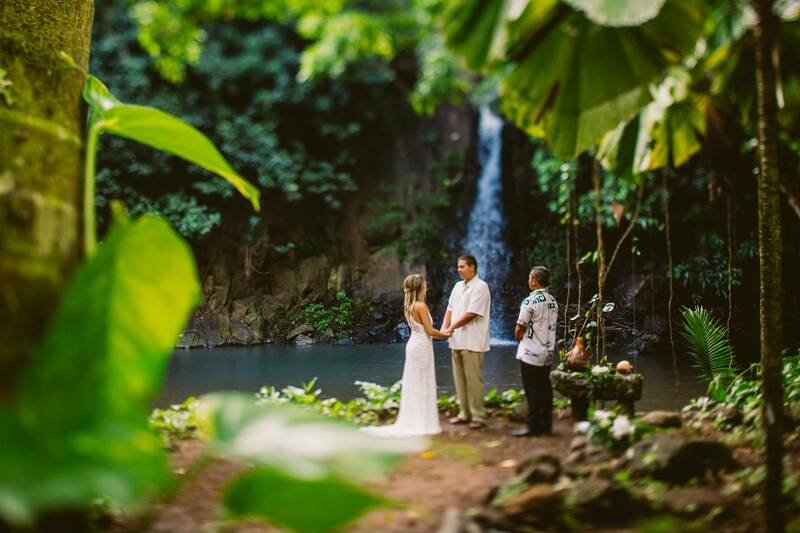 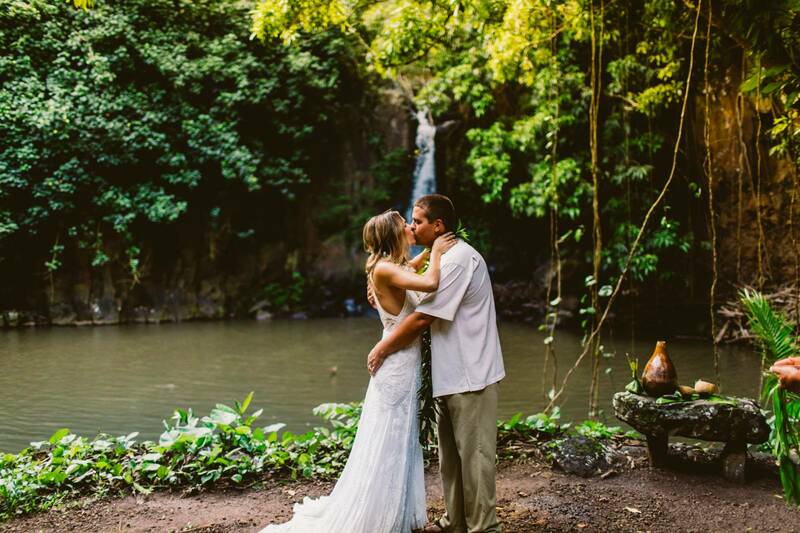 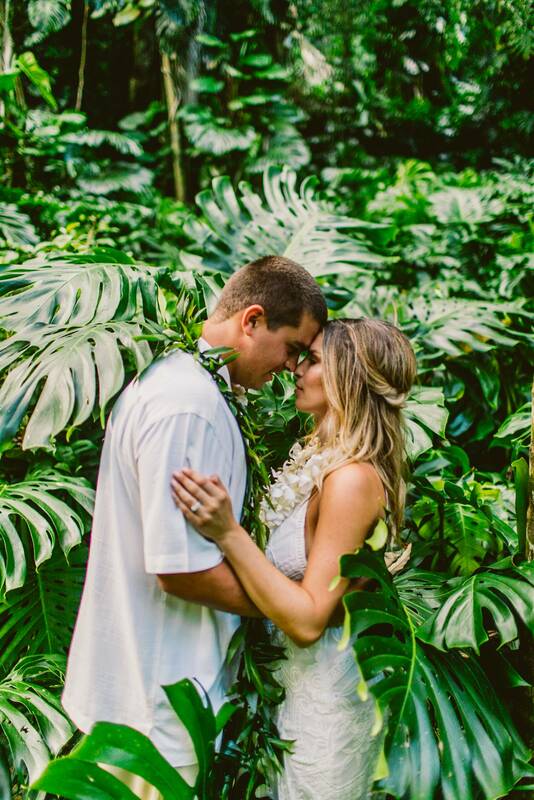 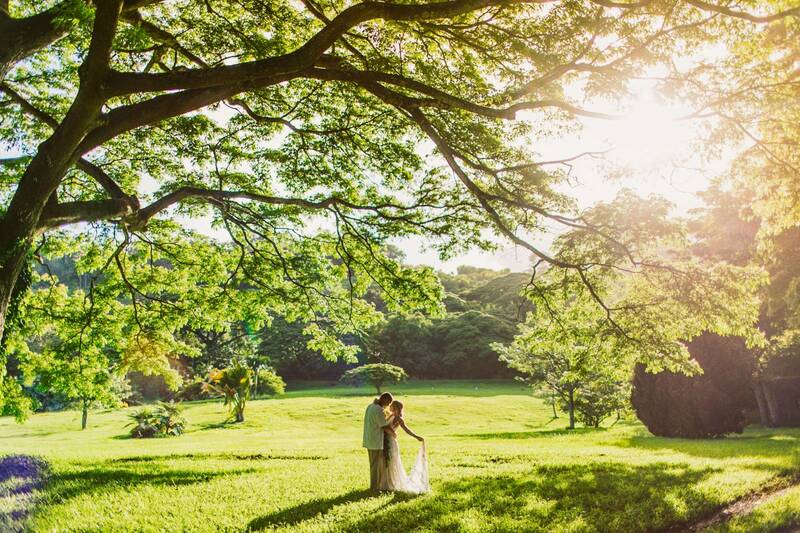 Rita and Tyson traveled from Santa Cruz to Kauai to elope and have their dream destination wedding next to a beautiful waterfall. 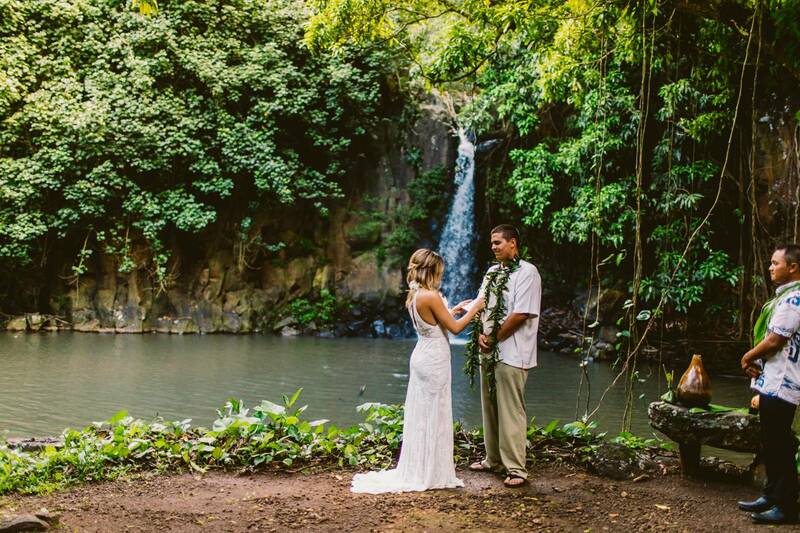 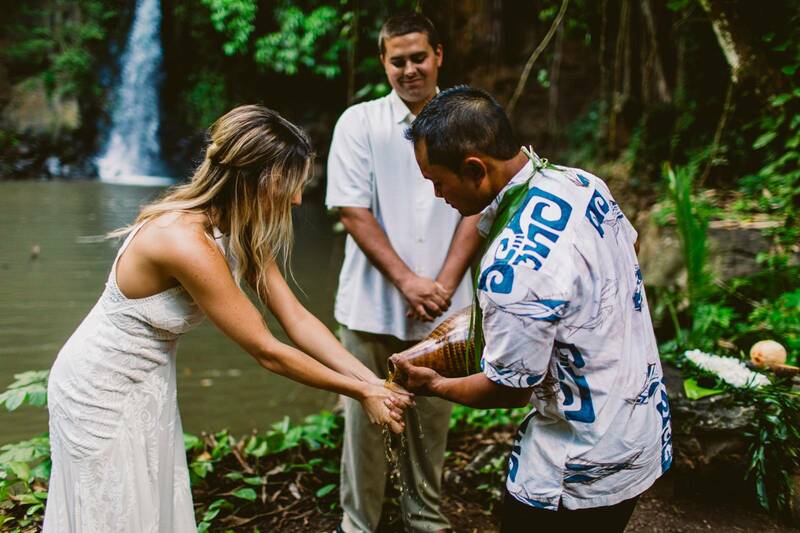 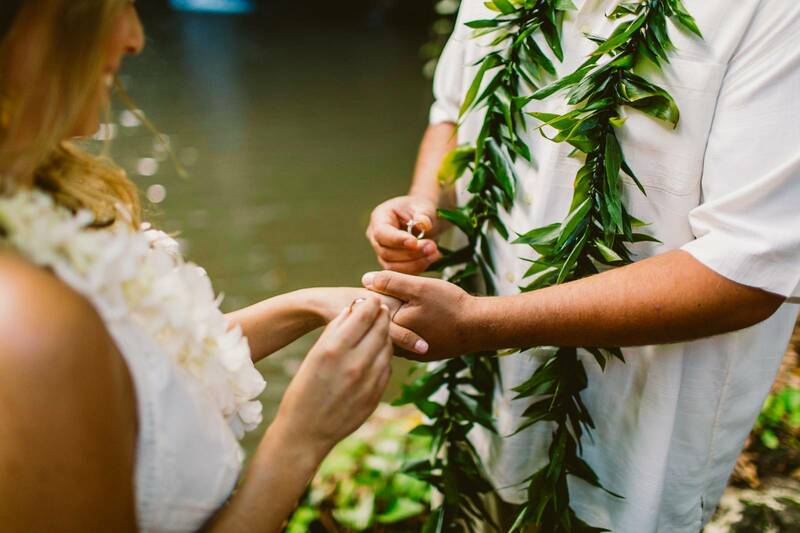 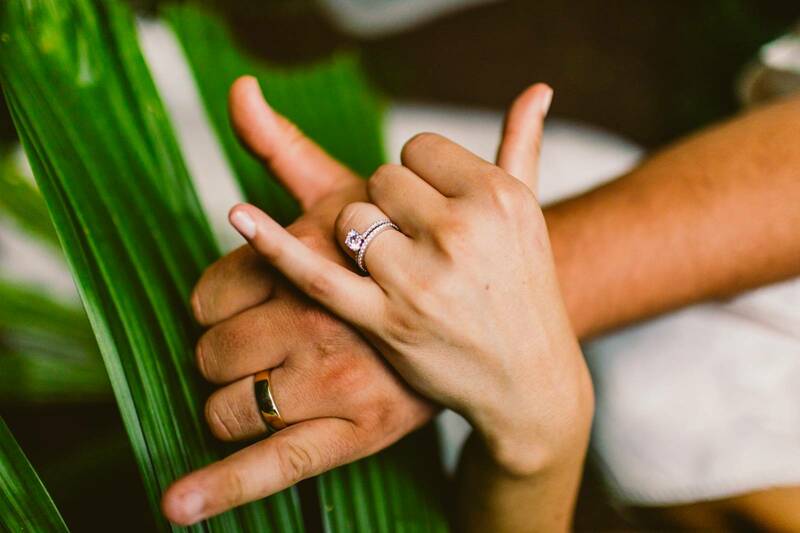 They hiked into mountains of Kauai to the waterfall and had a traditional Hawaiian ceremony and read their personal vows to each other. 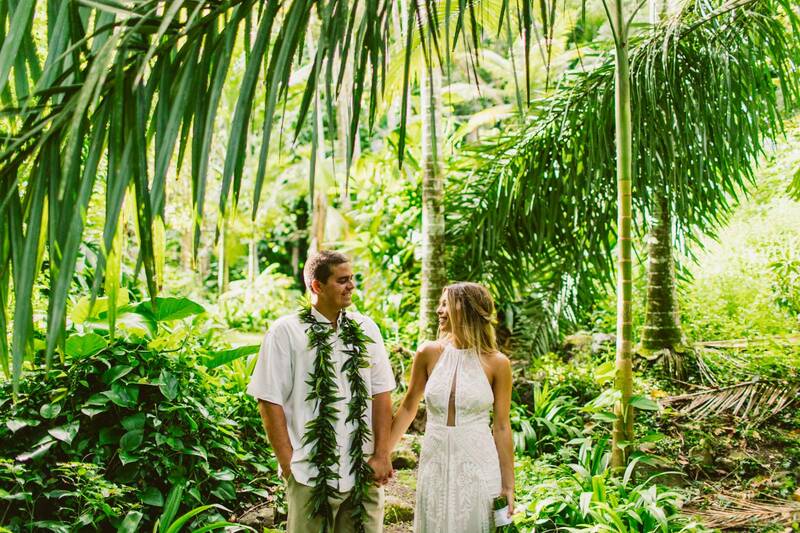 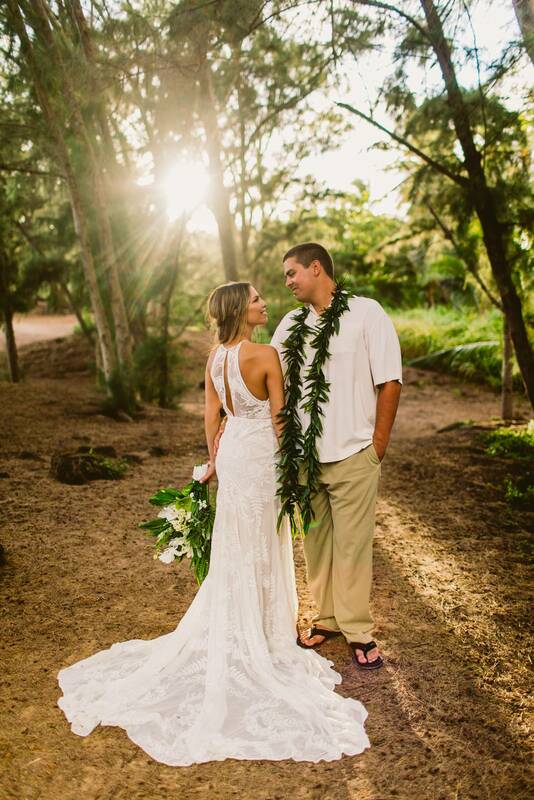 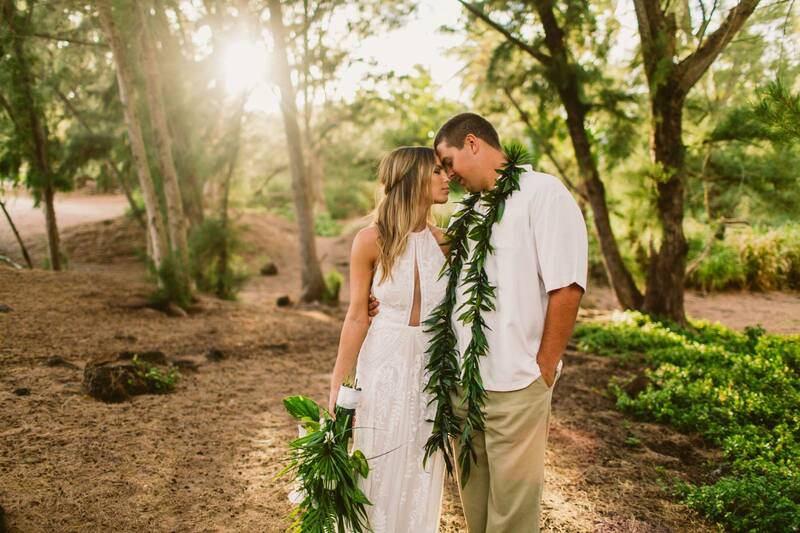 Rita looked stunning in her Rue De Seine wedding dress and Tyson in a white Tommy Bahama aloha shirt. 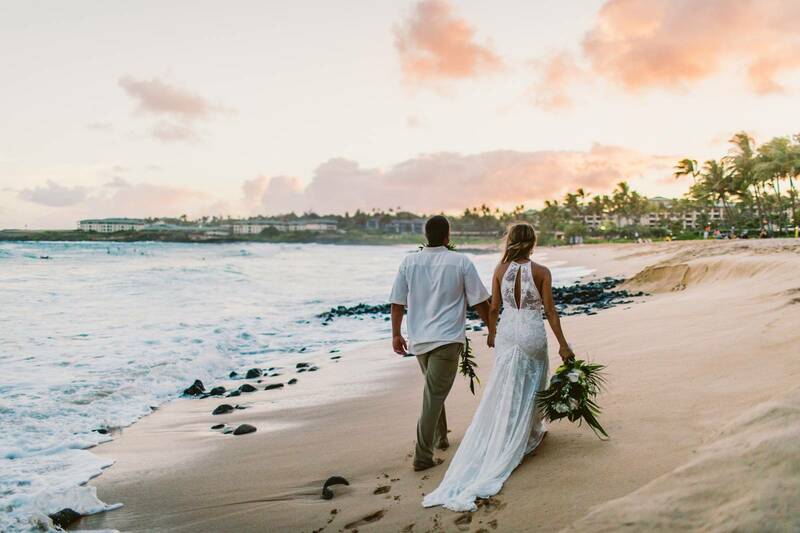 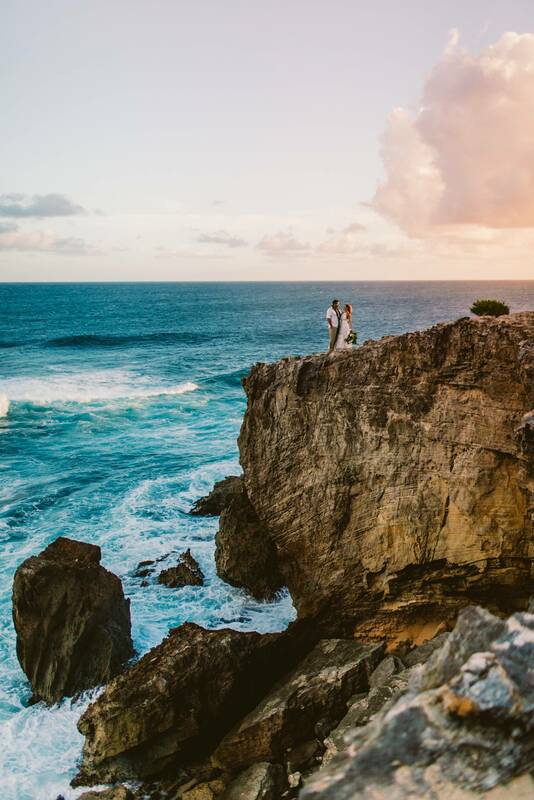 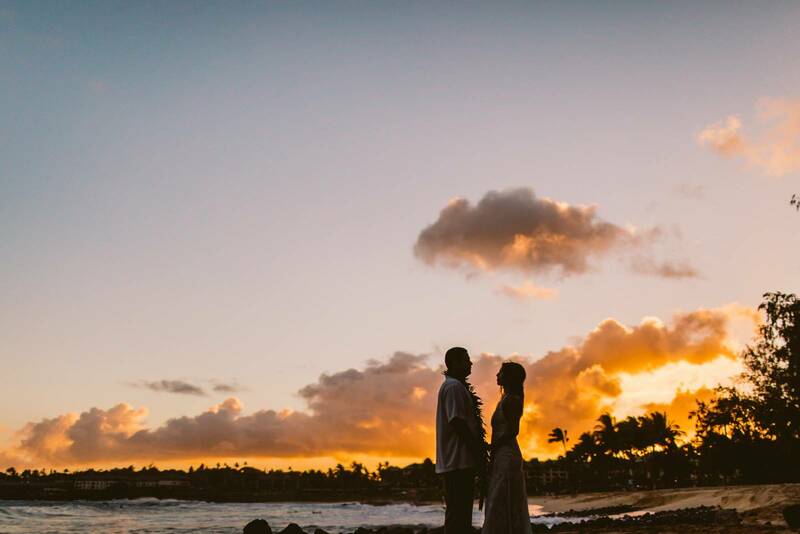 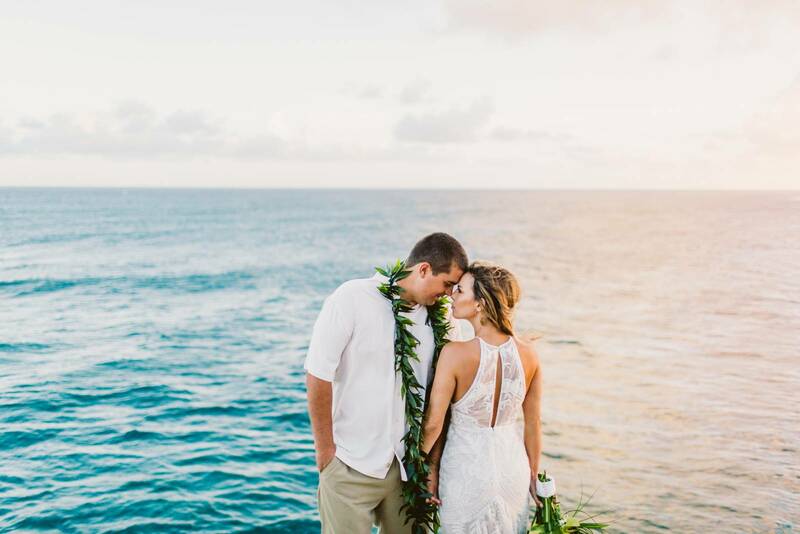 After the ceremony, they made their way all the way down to the white sandy beach while Meg Bradyhouse Photography captured these amazing photos along the way. 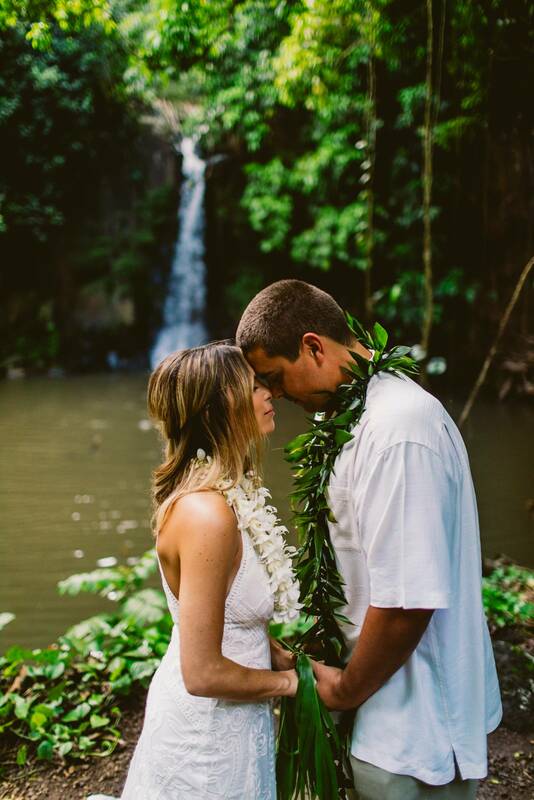 It was definitely a day filled with excitement and adventure traveling from the mountain to the ocean.